Martin has over 25 years’ experience in academia, pharmaceutical R&D (GSK) and biotechnology (MerLion, ANTABIO) as a drug discovery scientist with a particular interest in antibiotic resistance/persistence mechanisms. At GSK he managed a high-throughput screening group and led several lead discovery projects. At MerLion he was Head of Research leading a multi-disciplinary team discovering novel natural product derived compounds. At ANTABIO, Martin leads the internal discovery group, and has responsibility for external research collaborations. 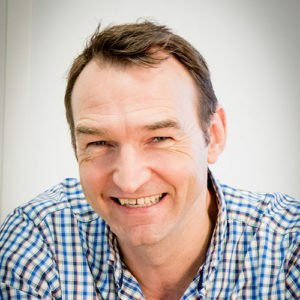 He is Principal Investigator for ANTABIO’s Pseudomonas biofilms inhibitors programme, supported by a Wellcome Trust Seeding Drug Discovery Award.